The full implications of Brexit on the UK housing market in the medium-long term remain largely unknown to industry analysts, and although estate agents are reporting a post-referendum downturn in demand, with modest price reductions reported in some regions, the Bank of England’s decision to reduce interest rates has seen some amazing mortgage deals being made available – which are proving extremely attractive to home owners up and down the land. 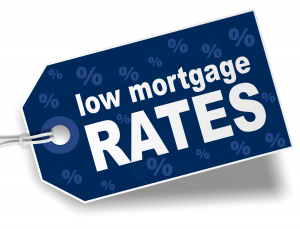 Levels of remortgaging reached the highest level for seven years in August, up 8% on July and an increase of 45% on the same month last year – and with 5-year fixed rate deals now from 1.89% and certain lenders allowing 5.5 times combined income – now is certainly the right time to be talking to us about a mortgage or re-mortgage deal. Finding a solution that allows you and your family to take advantage of the current record low deals is important, so it may be good to know that we are able to secure you a deal six months ahead of your current deal ending – to ensure that you are protected if rates were to rise in the meantime. That, coupled with a relaxation of interest only rules, means many people who have interest only mortgage can once again shop around for a better deal. Also, by having access to the whole lending market, rather than being tied to an individual lender’s products, it allows our clients greater flexibility and incredible choice – they are often amazed that, in many cases, we are able to arrange a new, lower rate deal, without them having to go through the lengthy re-application process – which can save a lot of time and administration.